Each year in CUSA Director Richard Matthew’s Sustainability II course, students work in teams to identify, research and develop solutions to sustainability challenges on and off campus. This process, named GRASP, has been documented and published in the Journal of Sustainability Education, and has produced many exciting projects implemented at UCI and elsewhere. For more information on the GRASP education model please click here. One recent project, entitled the Zero Waste Plan, was submitted to The Green Initiative Fund and it was awarded $40,000 before the quarter ended. This project will have a significant impact, moving UCI 2-3% closer to being a zero waste campus. The team behind the project is a great example of a collaboration between Social Ecology and Earth Systems Science students, with strong support from campus professors and administrators, especially Anne Krieghoff, UCI’s Facilities Sustainability Manager. 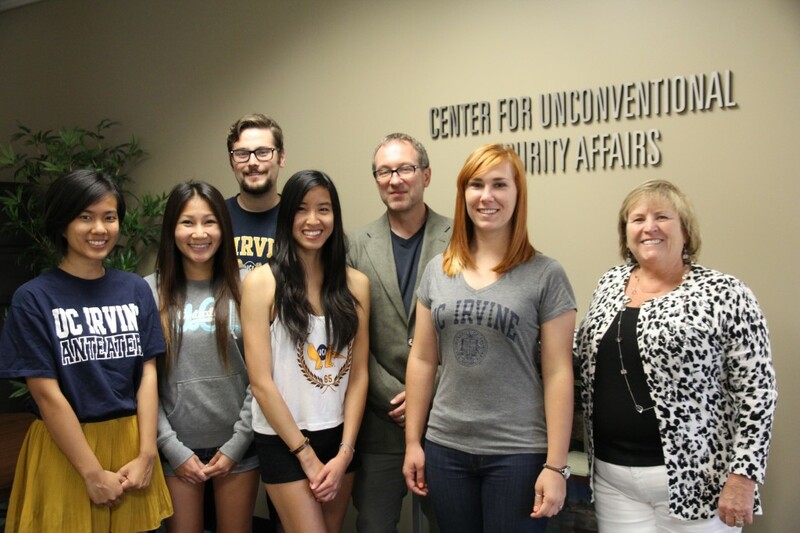 The team was led by senior Annette Tran (Crim/Law and PSB). Other members include: Kanyarat Konsue (SE); Phoebe Duong (ESS); Chris Halsch (ESS); and Suzanne Jarmusch (ESS). They identified a problem, developed a solution, obtained all of the necessary authorizations on campus to proceed, and wrote and submitted a grant application. In the fall 2014 zero waste recycling stations will be set up at two high profile sites on campus: the Bren Event Center and Cicerone Baseball Field. This will be accompanied by an awareness–raising and educational campaign.